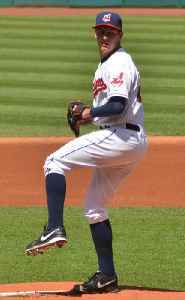 Trevor Andrew Bauer is an American professional baseball pitcher with the Cleveland Indians of Major League Baseball (MLB). He also pitched in MLB for the Arizona Diamondbacks. Trevor Bauer allowed one run while pitching into the seventh inning, slumping Jose Ramirez hit his first homer of the season and the Cleveland Indians held on late for a 6-4 win over the Seattle..